Make education interesting for your students! ChainSim brings together the classical e-learning and business simulations on a powerfully simple educational platform. 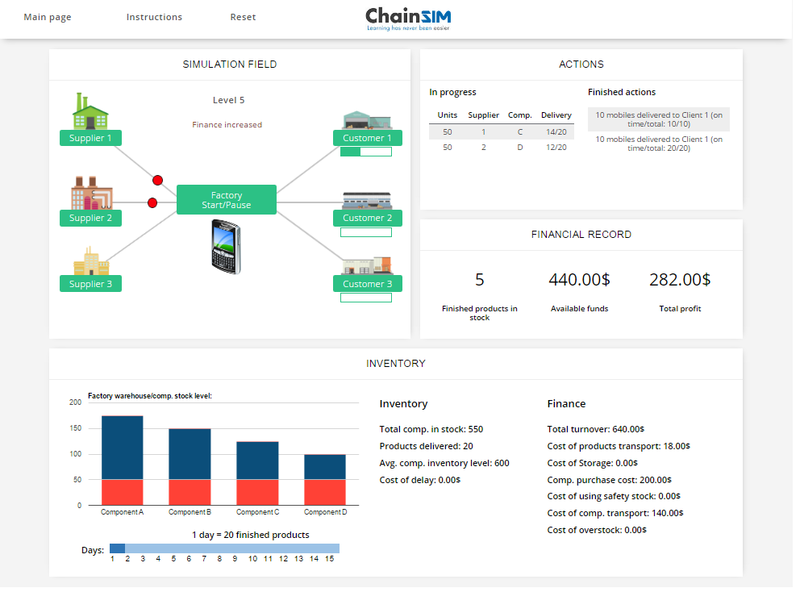 We improve our customers’ Production, Logistics and Supply Chain Planning learning processes by utilizing our ChainSim simulation systems. Simulation enables our clients to use their resources for better competitive advantage in teaching and to support all academic units in their assessment of student learning/development process. Main steps to go through ChainSim simulation: demand review, supply review, production review, financial integration, business results review. Studying Operations and Supply Chain Management with ChainSim will enable students to solve complex business problems related to the journey of products and services from the manufacturer or provider to the end customer. Students will gain an understanding of the techniques required for managing and improving the integration of resources, processes and customer requirements. 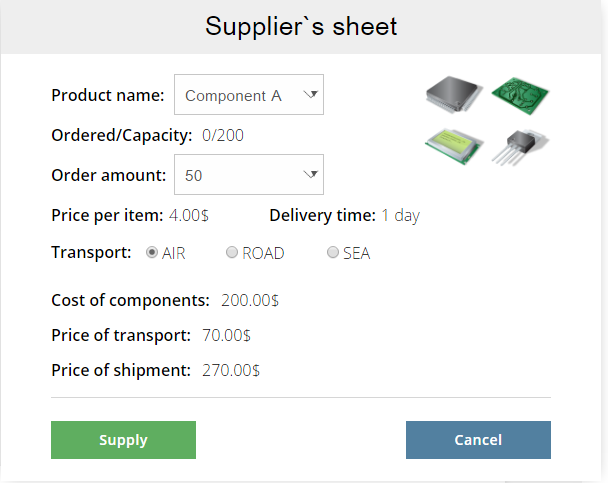 4) earn maximum profit (prices of the final products are fixed). 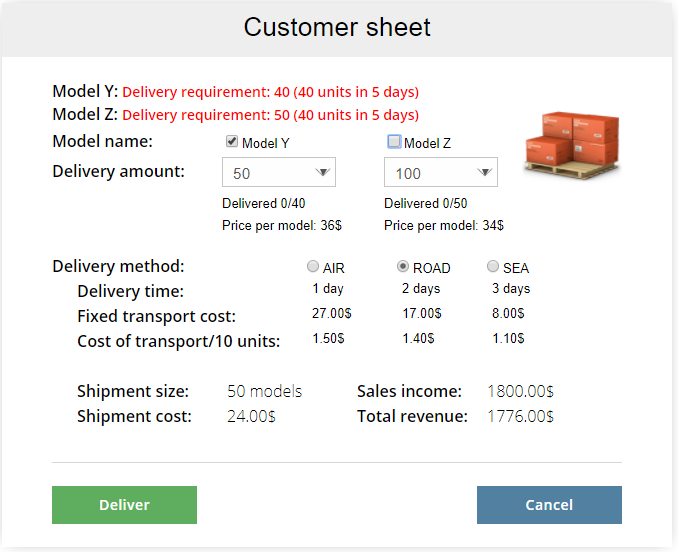 The assignments require simple calculations which will help you understand the basic relationship in the supply chain. Supplier selection, assessment, sourcing strategies, total cost optimization. Bill of materials. ChainSim educational simulation levels system. Key decision points for students. Building teamwork and decision making skills in students. Students can play simulation on a computer or in tablet. Easy to present and explain all simulation decision. Comprehensive reports. Teams competition ranking. Simple to evaluate each student or a group. Choose the level you want students to play. All results sent directly to teacher`s email. All results are saved and no paper necessary. Anonymous feedback directly from the simulation.